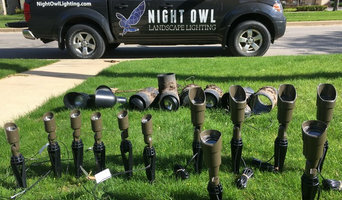 Mikes Landscape Lighting offers unique custom designs and excellent customer service. Outdoor lighting is one of the most cost-effective ways to add curb appeal, value, and safety to your home! Mike’s Landscape Lighting offers over 20 years experience of designing, installing, and upgrading landscape lighting projects. 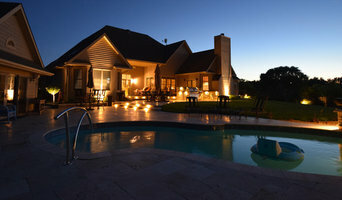 With knowledge in the industry, Mike’s Landscape Lighting can offer excellent prices and superior customer service, better than what you’re used to! No lighting job is too much or too little for us! Your home will take on a subtle, magical beauty that will “wow” onlookers and give you a warm, welcoming feeling every time you return to it. The architectural details and landscape elements that you cherish will be enhanced and come to life in a way you will never tire of seeing. 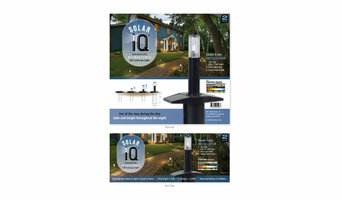 Check out photos of our landscape lighting to see what we mean! What services do Waukesha outdoor audio and visual system professionals provide? Home theaters are moving outdoors, too. Sports fans can grill without missing the game, and families can invite neighborhood friends over for movie nights. Special weatherized flat-screen TVs are coated to minimize glare. Imagine your Waukesha, WI backyard with a custom-designed outdoor theater system — complete with a large projection screen. It makes backyard entertaining easy. Find outdoor audio and visual system professionals on Houzz. Look in Houzz’s Professionals section to find Waukesha, WI outdoor audio and visual system experts. Narrow your search to the nearest city or metro area for a list of nearby businesses. Get contact information, read reviews and look at completed Wisconsin custom outdoor sound system projects.